This end-of-year review gives retail and consumer goods companies proof of industry trends, so you feel certain of what shoppers want and how to deliver it. As the year winds down, it’s the perfect time to revisit my predictions of 5 disruptive retail trends to watch in 2016 to see how they measured up in reality. This end-of-year review gives retail and consumer goods companies proof of industry trends, so you feel certain of what shoppers want and how to deliver it. Verdict: In 2016, local was hot. produce, meat and seafood. 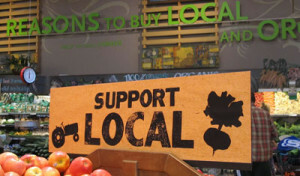 More consumers say local is also an important attribute for prepared foods and dry groceries.” Most (78%) consumers said they would pay a premium of 8% to 12% for local foods, and more than a third said they would go out of their way and make a special trip to purchase local food1Crawford, Elizabeth. Demand for local up, as is price consumers will pay, survey reveals. Food Navigator USA. October 26, 2016.. Such clear consumer demand for local products across multiple categories explains why Walmart recently announced plans to double its sales of locally grown produce by 2025. Verdict: This year, green was in style. Proof: CPG leaders General Mills and Unilever were among more than 300 businesses that formally asked US government leaders to strongly support low-carbon policies and the Paris climate agreement to promote job creation and economic growth.2Environmental Protection Fund. General Mills, Starbucks, Walmart & Other Big Brands Want To Stay The Course On Climate. Here’s Why. Forbes. December 13, 2016. Meanwhile, Walmart announced its 2025 sustainability goals, which include achieving zero waste to landfill, and using more renewable energy and 100% recyclable packaging for all private label brands. Also, 365 by Whole Foods Market, an eco-minded retail chain, opened its first store in Los Angeles to satisfy shoppers’ cravings for natural, organic and environmentally friendly products.3Reuters. Whole Foods’ New, Cheaper Chain Launches Today. Fortune. May 25, 2016. Verdict: In 2016, companies got busy with supply chain visibility. suppliers.4Smith, Alex. Target Launches ‘Big and Tough’ Sustainable Sourcing, Worker Wellbeing Goals. Sustainable Brands. November 14, 2016. 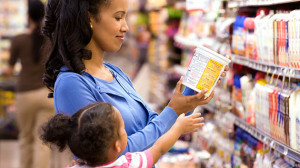 Faced with greater consumer and regulatory scrutiny, many CPG manufacturers, including Unilever, Kimberly Clark and Procter & Gamble, have also re-examined their supply chain this year to uncover new ways to use resources in a more efficient and purposeful manner that align with ethics-driven conscious consumerism.5Edmunds, Sandra. The mega-trends affecting retail sustainability. Eco-Brands. August 16, 2016. Verdict: This ambitious, complex trend needs more time. store and online while unifying shopper data from multiple channels to create relevant, customized marketing. The good news for 2016 is many retailers support multiple devices, and let customers buy online and return in-store.6 Preston, Rob. How Top Retailers Are Using Tech To Score Points On Black Friday And Beyond. Forbes. November 23, 2016. However, many retailers have yet to deliver popular omnichannel features, including free shipping of online orders, click and collect programs for online buying and in-store pick-up, and in-store Wi-Fi for easy mobile shopping.7Preston, Rob. How Top Retailers Are Using Tech To Score Points On Black Friday And Beyond. Forbes. November 23, 2016. 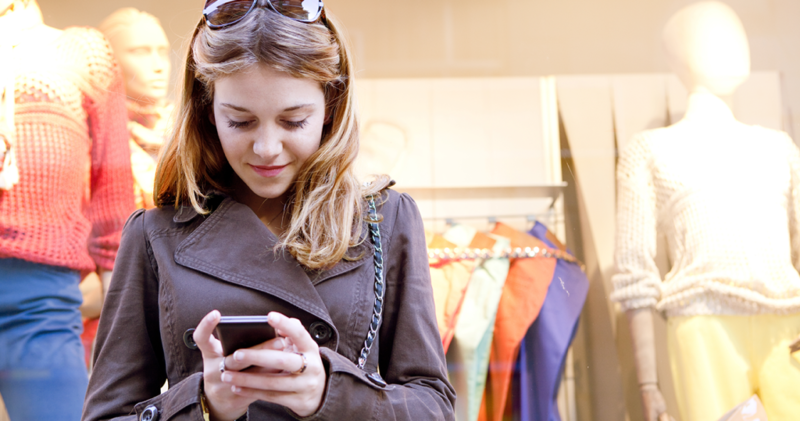 As such, omnichannel personalization will remain a priority for retail and CPG companies. That’s because “over the next five years, market power will flow to consumer goods manufacturers that have the most direct relationships with the end customer, as well as the strongest presence in retail channels of all types,” according to consulting firm Strategy&.8Strategy&. 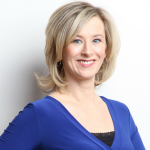 2016 Retail and Consumer Products Trends. 2016. Verdict: More companies embraced groundbreaking innovation in 2016. Proof: Technology helped retailers make headlines. For instance, e-commerce giant Amazon just announced a beta test for its first high-tech Amazon Go store, which allows checkout-free shopping. To eliminate checkout lines, the “Just Walk Out” system uses radio frequency identification (RFID), machine learning and artificial intelligence.9Bishop, Todd. How ‘Amazon Go’ works: The technology behind the online retailer’s groundbreaking new grocery store. Geek Wire. December 5, 2016. In addition, New York fashion brand Rebecca Minkoff used virtual reality and augmented reality to engage shoppers and promote its 2016 Fashion Week event with immersive technology that set the company apart.10Buhr, Sarah. Rebecca Minkoff’s Fashion Week show uses augmented reality to help real women shop the look live. TechCrunch. September 9, 2016. I just might buy a lottery ticket, as most of my predictions came true. This year, many retail and CPG companies served consumers by delivering local, sustainable products, transparent business practices and cutting-edge technology. While omnichannel personalization has made progress, it needs more time for proper implementation. Other notable 2016 retail trends were health and wellness, including natural and organic products. To prepare for a prosperous new year, stay tuned for my 2017 retail trends post, coming in early January. Happy holidays! 1. ↑ Crawford, Elizabeth. Demand for local up, as is price consumers will pay, survey reveals. Food Navigator USA. October 26, 2016. 2. ↑ Environmental Protection Fund. General Mills, Starbucks, Walmart & Other Big Brands Want To Stay The Course On Climate. Here’s Why. Forbes. December 13, 2016. 3. ↑ Reuters. Whole Foods’ New, Cheaper Chain Launches Today. Fortune. May 25, 2016. 4. ↑ Smith, Alex. Target Launches ‘Big and Tough’ Sustainable Sourcing, Worker Wellbeing Goals. Sustainable Brands. November 14, 2016. 5. ↑ Edmunds, Sandra. The mega-trends affecting retail sustainability. Eco-Brands. August 16, 2016. 6. ↑ Preston, Rob. How Top Retailers Are Using Tech To Score Points On Black Friday And Beyond. Forbes. November 23, 2016. 7. ↑ Preston, Rob. How Top Retailers Are Using Tech To Score Points On Black Friday And Beyond. Forbes. November 23, 2016. 8. ↑ Strategy&. 2016 Retail and Consumer Products Trends. 2016. 9. ↑ Bishop, Todd. How ‘Amazon Go’ works: The technology behind the online retailer’s groundbreaking new grocery store. Geek Wire. December 5, 2016. 10. ↑ Buhr, Sarah. Rebecca Minkoff’s Fashion Week show uses augmented reality to help real women shop the look live. TechCrunch. September 9, 2016.